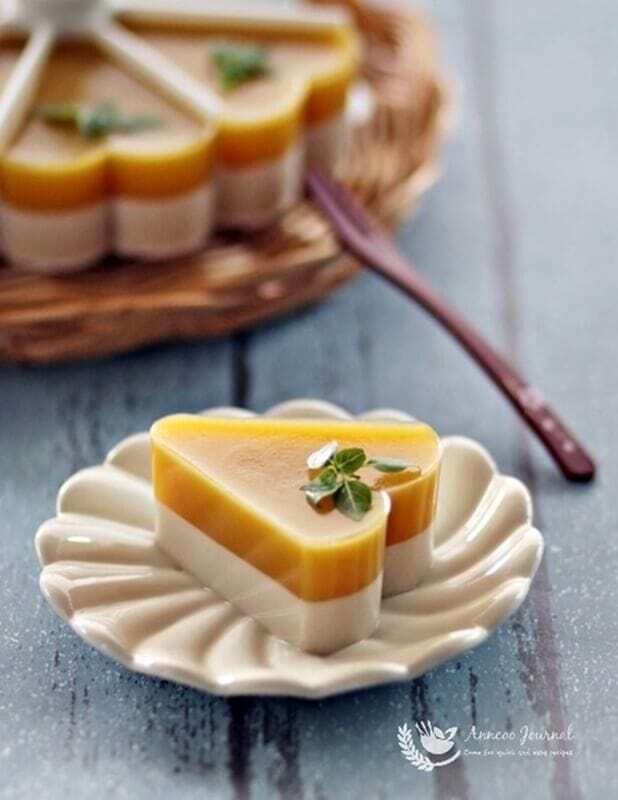 This Mango Jelly is yummy and refreshing with the combination of coconut milk and mango fragrance. Not only that, it can be easily prepared too. The jelly looks pretty like a flower as I used the same mould that I’d used for Sakura Jelly. 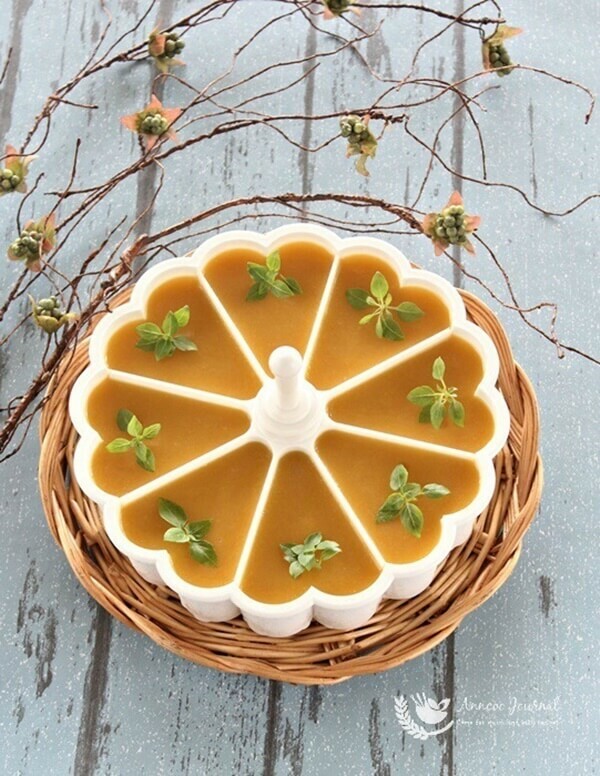 You can use any other cute moulds or cups to make this jelly, if you don’t have the flower shape mould. Definitely a simple and pretty dessert to bowl over your friends and family at home or for any other occasions. Bottom layer - Place all the ingredients in a pot and stir to boil at medium low heat for 2 mins. Turn off heat. and stir for another minute. Pour liquid mixture into the mould. Leave to cool and place in the fridge to chill for 15 minutes. Top layer - Puree mangoes and water to smooth. Then place all the ingredients and mango puree (except lemon juice) in a pot and stir to boil at medium low heat for 2 mins. Turn off heat, then add lemon juice and stir for another minute with a hand whisk. Take the set jelly mould out from the fridge, and gently scratch the jelly with a sharp knife. This will make the jellies stick together. Then pour the hot mango liquid on top. Leave jelly to cool in room temperature and chill it in the fridge for 2 hours before serving. I am so glad I found you today. Thank you for taking the initiative to blog all these lovely recipes. If i want to use heart shape pan, what size should i use? Hi Jessy, There are many sizes of the heart shape pan. What is the size that you have? Can replace milk to coconut milk? Hi Jasmine, Yes you can use milk instead and boil with pandan leaves. 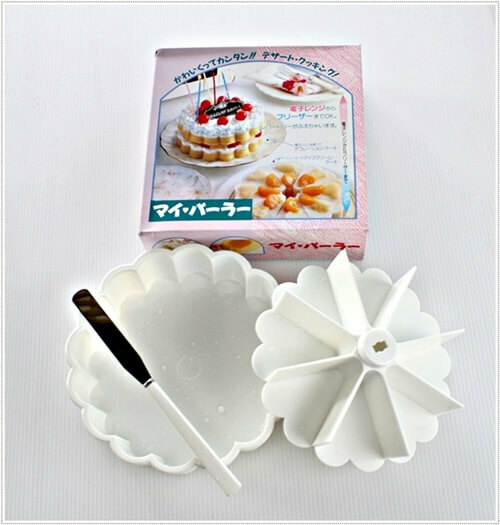 Hi May, The mould can be ordered online at Taobao. I’ve already put the link below the recipe. Ann, this is a lovely combination – mango+coconut. I also love your jelly mould! very professionally presented..mango & coconut go very well..
yummm. I love that mould you have used !! 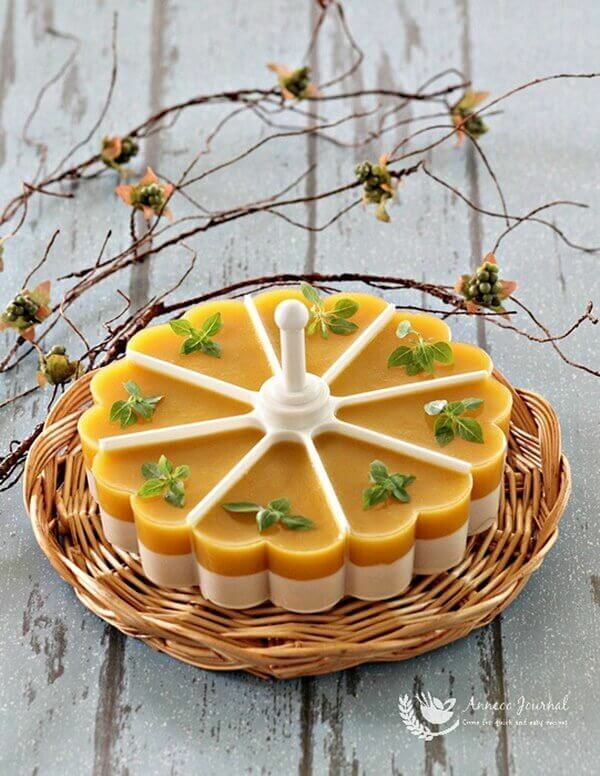 This lovely and tasty Mango Coconut Jelly is so inviting …. can I have a slice ?! … hee ..hee! As always, your creations are always so pretty. This coconut mango looks fantastic too! What a lovely combination both in flavours and colour! I would love a slice! Looks just amazing! How gorgeous is that!! I am really impressed, Ann.